Home > Blog > Making-room-for-lovely-new-things SALE! 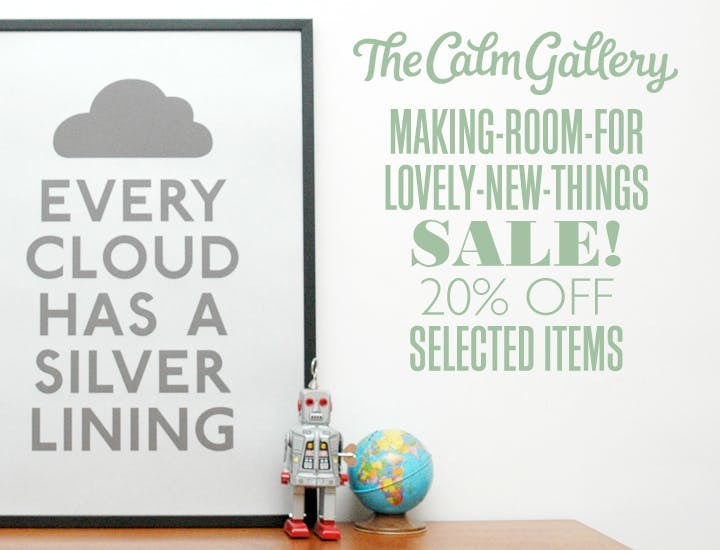 The Calm Gallery's making-room-for-lovely-new-things sale is now on! 20% off many lovely prints and tea towels. Take a peek at our sale section here.